We tend to think of boundaries as stable, fixed, unchangeable, but boundaries are inherently permeable, and any boundary that is created is created because someone or something is able to slip trough it. Greg Bechtel writes on these borderlands whether they be of genre (realism, science fiction, fantasy), gender (male, female, intersexed, trans, genderqueer) temporal (past, present, future), he shows a fascination with those luminal spaces and situations, heightened periods of intensity when things are shifting, because the reality is that everything is constantly in flux and stability is a fiction. And fiction, the stories that create us, constitute us, and shape our experience of the world, can be very much real. Boundary Problems delves into a polyphonic mix of characters speaking themselves into the world from the margins, announcing their complexity and unwillingness to be captured in a single voice. Bechtel recognizes the inherent slipperiness of stories, the sense that writing a story down attempts to, but will never succeed in, fixing a story in one voice. Every reader will inherently read a story with their own voice, their own set of expectations and symbolic understandings. His characters fluctuate throughout the story, in some cases fluidly moving between gendered, racial, and sexual identities. He recognizes the permeability of story and personhood – that each filters into the other and that we are constituted by stories, tales that shape our identities. The uncertainty of his story endings speaks to this idea that he is only capturing a snapshot of a wider story and that the character has an existence separate from and larger than the story. He speaks to the continuity of all stories and that the stories that we write are fragments building a feeling, a state of being and an aesthetic for the reader but that no story is ever complete or done, but perpetually in progress. He reminds readers that writing endings is an artificial process, and that it limits the complexity of the notion of The Story itself. Boundary Problems provides snapshots of the human experience, moments of people trying to make sense of the world around them. Bechtel shows an interest in going voice to people who have been expelled from the hegemony of “The Normal”, inserting those pushed to the fringes into a position of centrality. He reminds readers that those stories pushed to the fringes and devoiced are often the most complex, fascinating, and thought-provoking. Bechtel’s collection explores that permeable place between speculative fiction and realist fiction, not shying away from either, but interweaving them – because reality IS speculative, and good speculative fiction should evoke questions and speculations about reality. Bechtel deals with real world issues like violence against women, place and selfhood, the policing and control of sexuality, surveillance and losses of freedoms, and the danger of hegemonic power structures silencing the voices of dissent, the voices who speak up against systemic violence and the erasure of their stories, their histories. 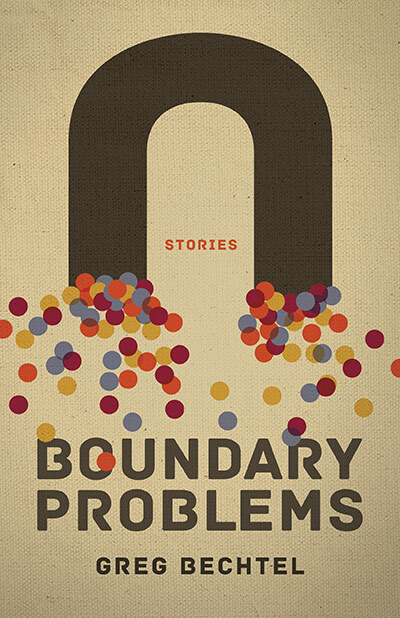 Boundary Problems delves equally into quantum physics, magic, and the everyday experience of a coffee shop book reading… but all of these stories evoke something of the human experience, tell us about our relationships to each other, to our perceptions of ourselves, and to the world around us. To discover more about the work of Greg Bechtel, visit his website athttp://gregbechtel.ca/ . This entry was posted in Fiction Book Reviews and tagged discrimination, Diversity, family violence, fiction and reality, future, Greg Bechtel, identity, literature for social change, Magic, past, place and identity, queer, questioning social conventions, relationships, reviews, sexual diversity, story, trans, violence against women.